Certified Pre-Owned 2019 Kia Sedona LX – 8 Passenger, Rear Camera, Bluetooth, Rear Heat & A/C, Heated Steering & Seats, Plus More! Certified Pre-Owned 2019 Kia Sedona LX+ 8 Passenger, Wireless Charger, Power Sliding Doors & Liftgate, Rear Camera, Bluetooth, & More! Certified Pre-Owned 2019 Dodge Grand Caravan GT - Leather, Stow ‘n Go, Power Liftgate & Sliding Doors, Rear Camera, Bluetooth, & More! 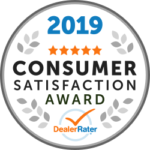 Certified Pre-Owned 2019 Kia Sedona SX – Sunroof, Apple CarPlay & Android Auto, Blind Spot Monitor, Rear Cross Traffic Alert & More! Certified Pre-Owned 2019 Kia Sedona SX – Sunroof, Blind Spot Monitor, Rear Cross Traffic Alert & Lots More! Certified Pre-Owned 2019 Toyota Sienna LE – 8 Passenger, Power Sliding Doors, Rear Camera, Bluetooth, AppleCar Play & So Much More! Certified Pre-Owned 2018 Dodge Grand Caravan GT – Leather, Stow ‘n Go, Power Liftgate & Sliding Doors, Rear Camera, Bluetooth & More! Certified Pre-Owned 2018 Dodge Grand Caravan GT - Leather, Stow ‘n Go, Power Liftgate & Sliding Doors, Rear Camera, Bluetooth, & Lots More! Certified Pre-Owned 2018 Toyota Sienna LE - 8 Passenger, Rear Camera, Bluetooth, Rear Air and Heat, Alloy Wheels and more! Certified Pre-Owned 2017 Dodge Grand Caravan SXT Plus - Navigation, Rear Camera, Power Lift Gate & Sliding Doors, Plus More! Certified Pre-Owned 2017 Toyota Sienna LE - 8 Passenger, Rear Camera, Bluetooth, Rear Air and Heat, Alloy Wheels and more!